Sunglasses by the brand BOB SDRUNK Unisex Sunglasses, with reference S0007398, with a(n) Retro/Vintage style.Bob Sdrunk Woody 67 47 19 they have a(n) Full Rim frame made of Acetate / plastic with a(n) Round and Oval shape in Brown colour. Their size is 47mm and their bridge width is 19mm, with a total frame width of 66mm. They have Polycarbonate, Gray, Gradient lenses. These glasses are suitable for prescription lenses. These are top of the range glasses from the brand BOB SDRUNK, made of high-quality materials, modern glasses that will give you a look that matches your image. Buy Bob Sdrunk Woody 67 47 19 sunglasses in an easy and safe way at the best price in our online store. Eyewear by the brand BOB SDRUNK, for Men's eyeglasses, with reference M0011865, with a(n) Modern style.These Bob Sdrunk Noel 20G 47 21 have a(n) Full Rim frame made of Acetate / plastic with a(n) Square shape in Yellow and Golden colours. Their size is 47mm and their bridge width is 21mm, with a total frame width of 68mm. These glasses are suitable for prescription lenses. These are top of the range glasses from the brand BOB SDRUNK, made of high-quality materials, modern eyewear that will give you a look that matches your image. Buy Bob Sdrunk Noel 20G 47 21 eyewear in an easy and safe way at the best price in our online store. string(134) "Buy Bob Sdrunk Noel 20G 47 21 eyeglasses. Modern and elegant model. Original product with fast shipping, quality guarantee and refund." string(25) "BOB SDRUNK NOEL 20G 47 21"
string(366) "…it’s not easy… not too difficult too… telling my own life… on a sheet of paper… but since I have to…. I was born in the shade of the “big-dome”, from a very beautiful Italian “mamma”… and from a not-so-handsome but very good father… Australian, from Brisbane, on the wonderful North-eastern cost, not too far from the Great Coral Reef...."
Eyewear by the brand BOB SDRUNK, for Men's eyeglasses, with reference M0011864, with a(n) Modern and Original style.These Bob Sdrunk Platone 102/01 46 22 have a(n) Full Rim frame made of Metal with a(n) Round and Oval shape in Black and Golden colours. Their size is 46mm and their bridge width is 22mm, with a total frame width of 68mm. These glasses are suitable for prescription lenses. These are top of the range glasses from the brand BOB SDRUNK, made of high-quality materials, modern eyewear that will give you a look that matches your image. 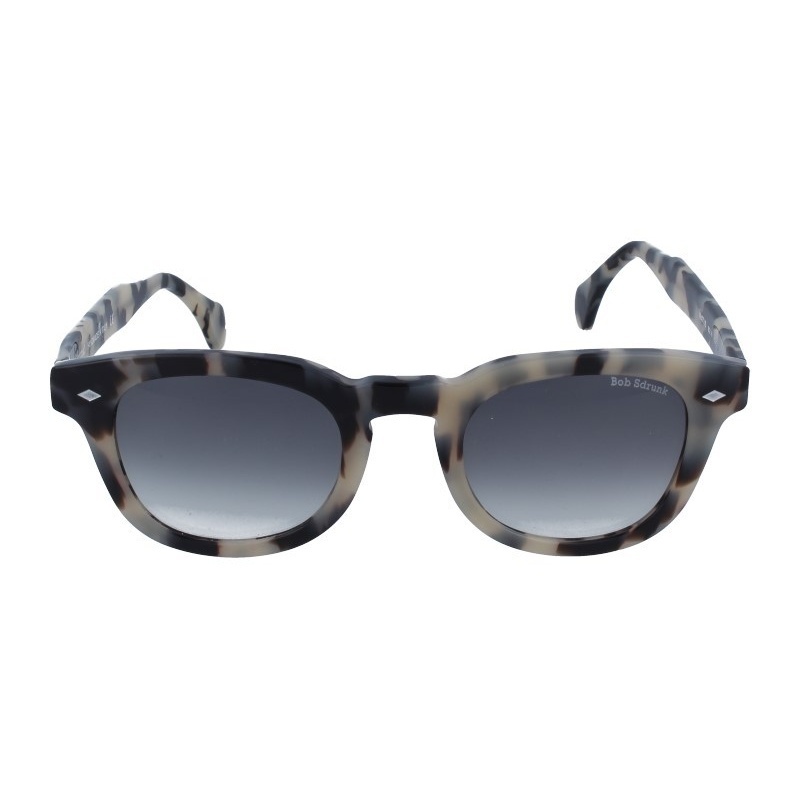 Buy Bob Sdrunk Platone 102/01 46 22 eyewear in an easy and safe way at the best price in our online store. string(140) "Buy Bob Sdrunk Platone 102/01 46 22 eyeglasses. Modern and elegant model. Original product with fast shipping, quality guarantee and refund." string(31) "BOB SDRUNK PLATONE 102/01 46 22"
Sunglasses by the brand BOB SDRUNK Unisex Sunglasses, with reference S0008299, with a(n) Formal and Modern style.Bob Sdrunk Jung Plus 02 46 25 they have a(n) Full Rim frame made of Metal with a(n) Round and Oval shape in Havana and Golden colours. Their size is 46mm and their bridge width is 25mm, with a total frame width of 71mm. They have Organic, Gray, Uniform lenses. These glasses are suitable for prescription lenses. These are top of the range glasses from the brand BOB SDRUNK, made of high-quality materials, modern glasses that will give you a look that matches your image. Buy Bob Sdrunk Jung Plus 02 46 25 sunglasses in an easy and safe way at the best price in our online store. string(138) "Buy Bob Sdrunk Jung Plus 02 46 25 sunglasses. Modern and elegant model. Original product with fast shipping, quality guarantee and refund." string(29) "BOB SDRUNK JUNG PLUS 02 46 25"
Sunglasses by the brand BOB SDRUNK Unisex Sunglasses,  with reference S0008298, with a(n) Formal and Modern style.Bob Sdrunk Liam 55G 46 21 they have a(n) Full Rim frame made of Acetate / plastic with a(n) Round and Oval shape in Golden and Transparent colours. Their size is 46mm and their bridge width is 21mm, with a total frame width of 67mm. They have Organic, Green, Uniform lenses. These glasses are suitable for prescription lenses. These are top of the range glasses from the brand BOB SDRUNK, made of high-quality materials, modern glasses that will give you a look that matches your image. Buy Bob Sdrunk Liam 55G 46 21 sunglasses in an easy and safe way at the best price in our online store. string(134) "Buy Bob Sdrunk Liam 55G 46 21 sunglasses. Modern and elegant model. Original product with fast shipping, quality guarantee and refund." string(25) "BOB SDRUNK LIAM 55G 46 21"
Sunglasses by the brand BOB SDRUNK Unisex Sunglasses,  with reference S0008297, with a(n) Formal and Modern style.Bob Sdrunk Noel 55 47 21 they have a(n) Full Rim frame made of Acetate / plastic with a(n) Square shape in Silver and Transparent colours. Their size is 47mm and their bridge width is 21mm, with a total frame width of 68mm. They have Organic, Blue, Gradient lenses. These glasses are suitable for prescription lenses. These are top of the range glasses from the brand BOB SDRUNK, made of high-quality materials, modern glasses that will give you a look that matches your image. Buy Bob Sdrunk Noel 55 47 21 sunglasses in an easy and safe way at the best price in our online store. string(133) "Buy Bob Sdrunk Noel 55 47 21 sunglasses. Modern and elegant model. Original product with fast shipping, quality guarantee and refund." string(24) "BOB SDRUNK NOEL 55 47 21"
Sunglasses by the brand BOB SDRUNK for Women’s sunglasses,  with reference S0006147, with a(n) Modern, Female and Retro/Vintage style.Bob Sdrunk Matt 63M 48 23 they have a(n) Full Rim frame made of Acetate / plastic with a(n) Square shape in Black, Beige and Jaspe colours. Their size is 48mm and their bridge width is 23mm, with a total frame width of 71mm. They have Organic, Gray, Gradient lenses. These glasses are suitable for prescription lenses. These are top of the range glasses from the brand BOB SDRUNK, made of high-quality materials, modern glasses that will give you a look that matches your image. Buy Bob Sdrunk Matt 63M 48 23 sunglasses in an easy and safe way at the best price in our online store. string(134) "Buy Bob Sdrunk Matt 63M 48 23 sunglasses. Modern and elegant model. Original product with fast shipping, quality guarantee and refund." string(25) "BOB SDRUNK MATT 63M 48 23"
Sunglasses by the brand BOB SDRUNK for Women’s sunglasses,  with reference S0007397, with a(n) Modern, Female and Retro/Vintage style.Bob Sdrunk Lee 02 48 24 they have a(n) Full Rim frame made of Acetate / plastic with a(n) Cat Eye shape in Havana colour. Their size is 48mm and their bridge width is 24mm, with a total frame width of 72mm. They have Organic, Gray, Gradient lenses. These glasses are suitable for prescription lenses. These are top of the range glasses from the brand BOB SDRUNK, made of high-quality materials, modern glasses that will give you a look that matches your image. Buy Bob Sdrunk Lee 02 48 24 sunglasses in an easy and safe way at the best price in our online store. string(132) "Buy Bob Sdrunk Lee 02 48 24 sunglasses. Modern and elegant model. Original product with fast shipping, quality guarantee and refund." string(23) "BOB SDRUNK LEE 02 48 24"
Eyewear by the brand BOB SDRUNK, for Men's eyeglasses, with reference M0011030, with a(n) Retro/Vintage style.These Bob Sdrunk Malcolm 28 48 20 have a(n) Full Rim frame made of Acetate / plastic with a(n) Oval shape in Red colour. Their size is 48mm and their bridge width is 20mm, with a total frame width of 68mm. These glasses are suitable for prescription lenses. These are top of the range glasses from the brand BOB SDRUNK, made of high-quality materials, modern eyewear that will give you a look that matches your image. Buy Bob Sdrunk Malcolm 28 48 20 eyewear in an easy and safe way at the best price in our online store. string(136) "Buy Bob Sdrunk Malcolm 28 48 20 eyeglasses. Modern and elegant model. Original product with fast shipping, quality guarantee and refund." string(27) "BOB SDRUNK MALCOLM 28 48 20"